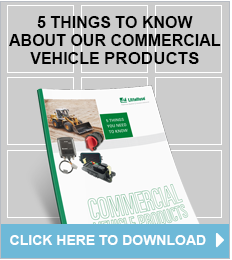 Heavy-duty truck, bus and off-road equipment manufacturers rely on Littelfuse to ensure their customers’ vehicles and machines perform under the harshest environments. We offer heavy-duty OEMs a diverse mix of standard and custom engineered solutions for their electromechanical switching, power control and circuit protection applications. 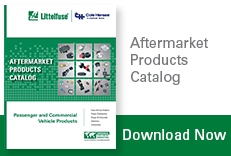 Littelfuse acquired Menber’s, headquartered in Legnago, Italy, in 2016 to offer a more extensive portfolio of products in the commercial vehicle and aftermarket channels. Since 1965, Menber’s has been a leader in electrical and electronic products for all types of vehicles with a focus on connectors, coils and battery switches. Menber’s passion for its work and innovation has allowed it to grow, expand production systems and become a leading supplier to vehicle manufacturers. P/N CVP200 - Littelfuse Commercial Vehicle OEM Solutions for Vehicle Electrical Power Brochure features product innovations and the limitless future of what new power distribution control and protection products will be developed next.